Five feet one and full of fizz, Jennifer Brown lights up the room. She has a gorgeous partner, a wicked best friend, and a boss who doesn’t mind that she’s the worst typist on the planet. She’s loyal, generous and irredeemably ditzy. Everyone loves Jennifer Brown. But can she learn to love herself? When her world caves in, she needs every ounce of her steely core to step back from the abyss and take charge of her life, reinventing herself first as cook and housekeeper to a saucy sexagenarian, then as manager of a tumbledown country estate with sensitive secrets. Peopled by a battalion of hilarious characters from the caustic, cross-dressing confidant to the besotted ex-boyfriend with a barmy ex-wife, Jennifer Brown’s Journey is a heart warming, thoughtful, often poignant portrait of the trials of life as a thirty-something woman. Jennifer Brown champions the importance of self-belief, and the value of a bucket-sized glass of wine in a tight spot. And always in the background, there’s the quiet man with the warm eyes and the velvet vowels. What on earth is Jennifer Brown going to do about him? What a lovely light-hearted gem of a read this book is. When I met Jennifer Brown she was at that point in life that she would have been able to tell what day of the week it was by what was for tea that day and what chores had to be done. The dull lull of life that we all fall into that gets us through each week. Now although everyone at work sort of had her down as a bimbo, for good cringe-able memorable moments I might add, stupid she wasn’t. So when her hunk of fella, that she had lived with for ten years plus, starts acting a little out of character she soon pegs him for the two timing cheat that he is. Jennifer’s life is about to get some zing about it but she has to hit rock bottom first. No fella, no home and having to leave her beloved dogs behind but a true friend is the first step up on the ladder to rediscover herself and build her confidence. Jennifer doesn’t do things by half as she jets round the world and really turns into quite a mischievous character that bends the rules and adapts her work experience to fit what ever job she fancies. This is a super pick me up read that at times made me giggle, envy and recognise myself in. There are some wonderful full-blown characters that she meets on her get to know herself journey but there are also some anchors back home that she doesn’t let go of. There were times when I just sat back with pure admiration for Jennifer with some of the bold steps she took, as she not only made a difference to her own life but to others too. This is the first book in a series and I really am eager to know what happens next. What I do know is it will be entertaining. I feel Jennifer has a lot more to discover yet. I grew up in Somerset and have lived in the south west of England all my life. Nowadays my home is in the beautiful Woodford Valley near Salisbury, on the banks of the river Avon. A tiny piece of heaven and a true writers paradise. When I’m not writing, I’m a keen wildlife photographer and am currently working on a book of poems for children all about the local wildlife who live along the riverbank. 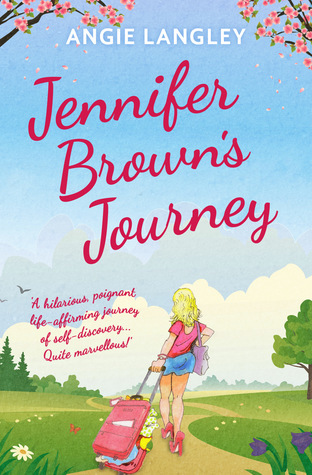 Writing Jennifer Brown’s Journey was a labour of love for me. 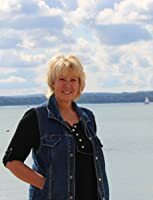 Most of the book is based on my true-life experiences, enhanced by my furtive imagination which takes over as humorous characters and situations are brought in to provide the chapters with the emotional balance I feel is required. Many of these humorous elements are the result of everyday observations. We loved this book too.